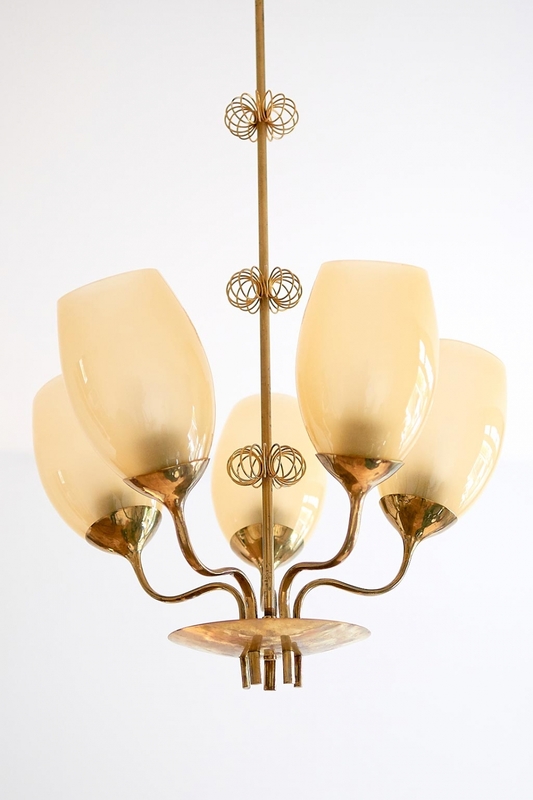 This five-glass chandelier was designed by Paavo Tynell and produced by Taito Oy in Finland in 1949. Paavo Tynell was responsible for designing the lighting for the hospital in Kuopio, which can be viewed in the sketches from the Taito archives (as shown in last picture). This particular chandelier was based on Tynell’s existing model 9029. 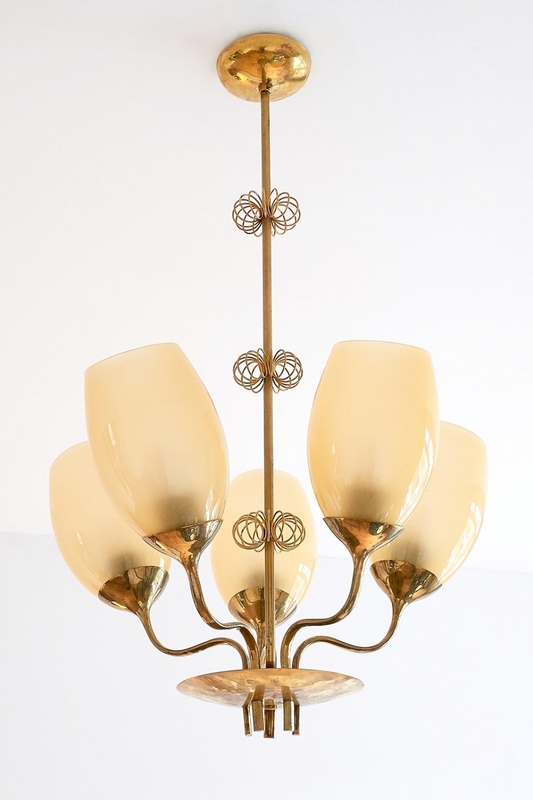 The five-armed brass fixture has three circular brass coils and five handblown glass shades. Very good original condition, with nicely patinated brass and glass shades in excellent condition without chips, cracks or restorations. Marked/impressed with Taito 9029.